Pale pink, elegant and delicate, is the signature color of this chandelier from the new 2016 collection. Chains are knotted, waxed and coloured in a graded shading and then assembled to form a series of flounces crowned by a wreath of flowers and precious painted trimming. 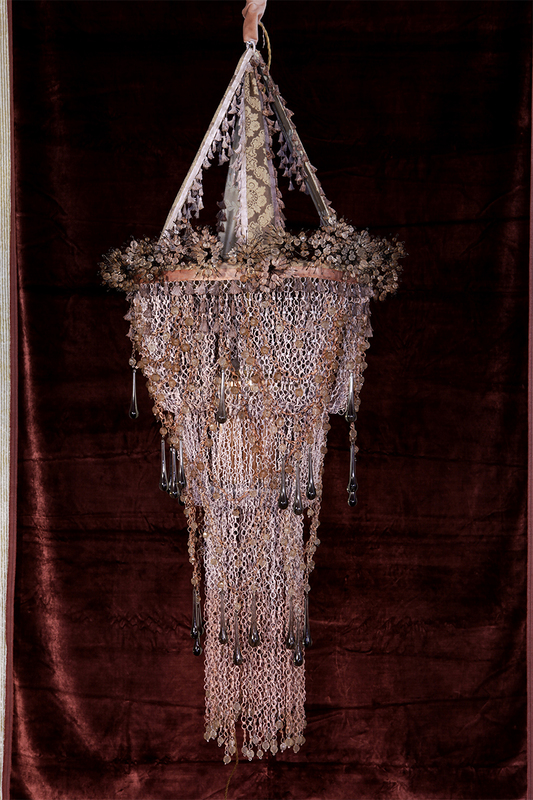 The crude iron chains are softened by waxed glass drops and pearls running through the entire circumference of the chandelier. 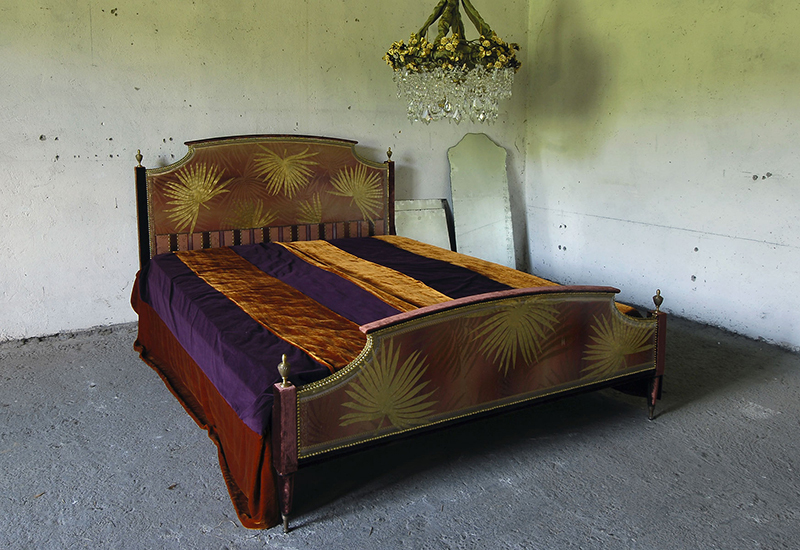 Bed tailor-made achievable or through the re-imagining of an antiquated or vintage beds. The bedposts and the footboards are covered by precious textile decorated with brass kentia motif inserts. 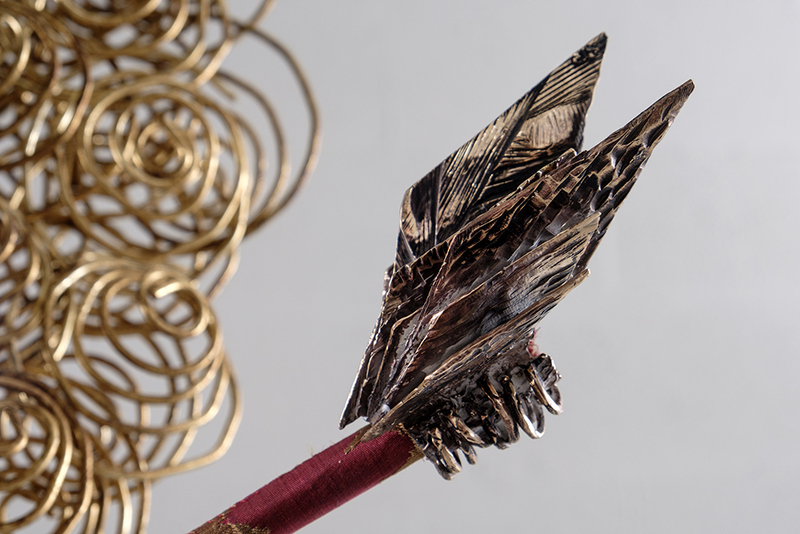 The finishes are in brass and velvet while the attachment of the overlapping materials, like the fiberglass that defend the surfaces, is completely handmade with nails and studs. 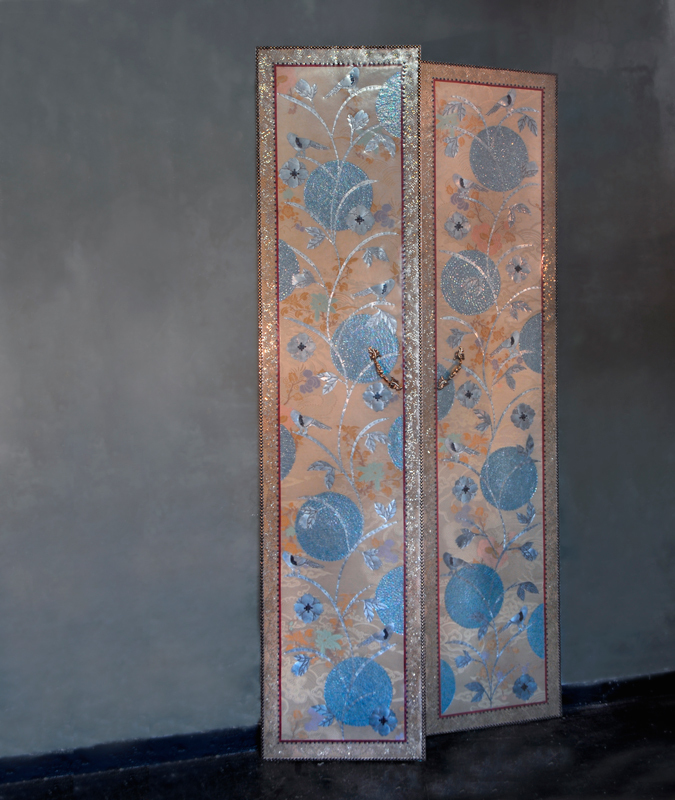 Doors tailor-made achievable in wood, textile, fiberglass and geometrical and floral patterns. 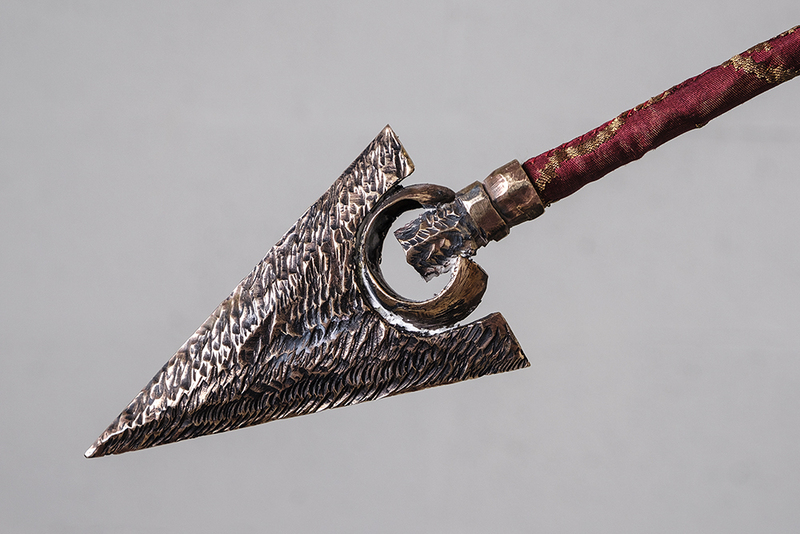 These patterns are cut-metal-sheet, shaped and nailed completely handmade. 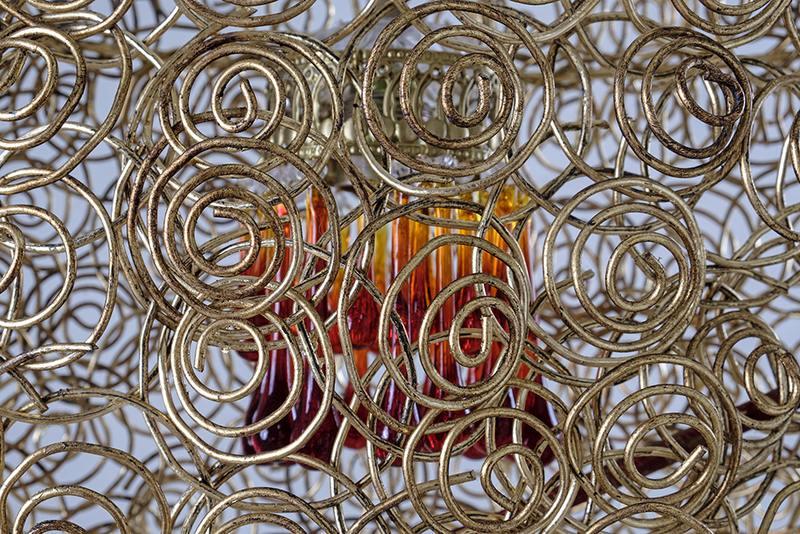 Moons are realized in iridescent sequins, while the frames are made by trimmings fixed with brass nails and studs. This little table top, ideal as nightstand, but also as decorative reliable support in the living room or in a studio, is a pursuit because it has been performed using an antique furniture. 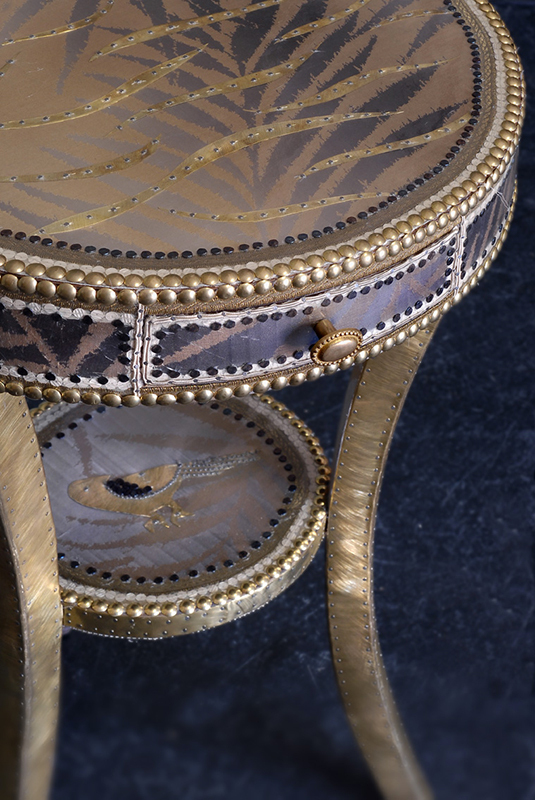 The nightstand is covered by precious textile in kentia motif, fiberglass, brass, with metal in naturalistic motif inserts and finished with trimmings, nails and studs. 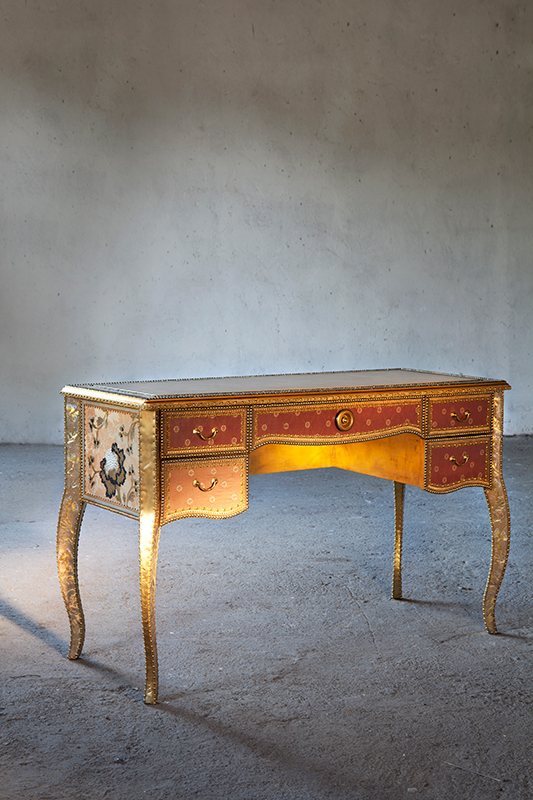 A desk that reminds to the atmosphere of French saloons of the 1700s. 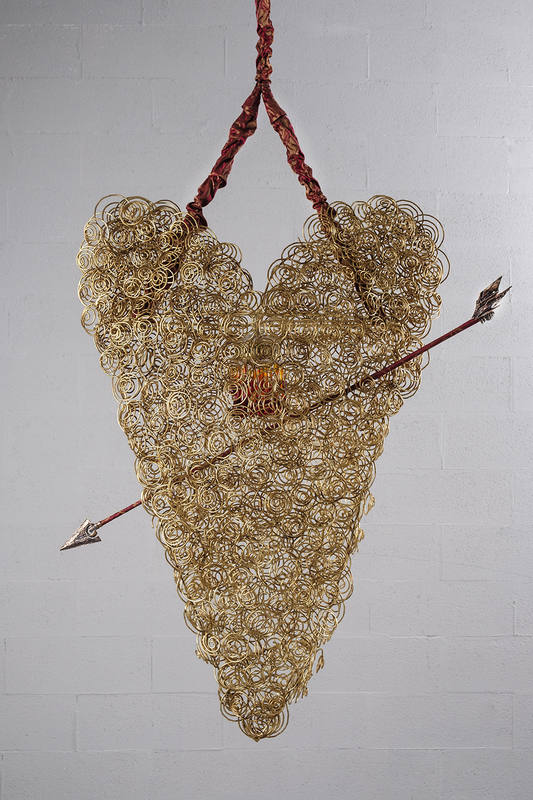 The red-purple of the textile that covers the front is jazzed up by brass handles and by little golden flowers. 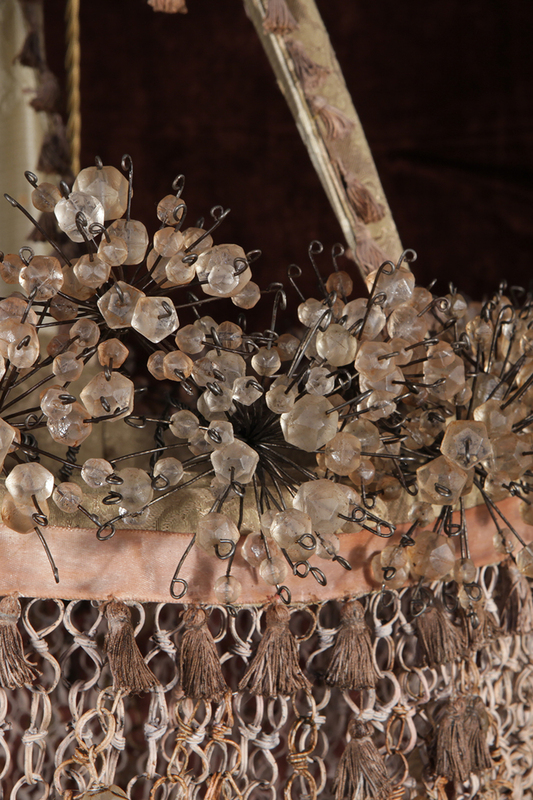 Top and sides are decorated with metal flowers and textile of sequins characterized by delicate shades. Brass and studs details, fiberglass as trait d’union between textile and metal and, of course, nails, one by one hand-hammer. The product images shown are for illustration purposes only and may not be an exact representation of the products.